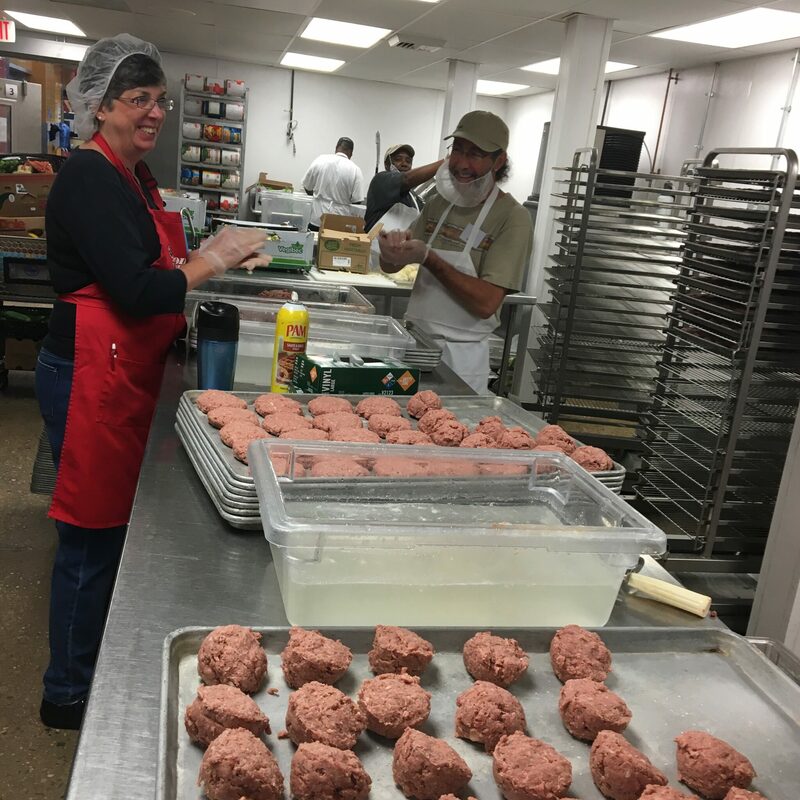 The great part about being a volunteer at Feed More is that you are making a BIG difference and get to have fun while doing it! We have a number of opportunities available for groups and individuals. Here is a quick overview of some of the ways you can get involved in our mission and help feed more. Administrative assistants: lend a helping hand with our programs and/or departments at Feed More, tackling everything from data base entry to stuffing envelopes to answering phone calls with our Hunger Hotline or Meals on Wheels Client Services team. Due to the nature of some of the duties involved, administrative assistants must be 21 years or older. 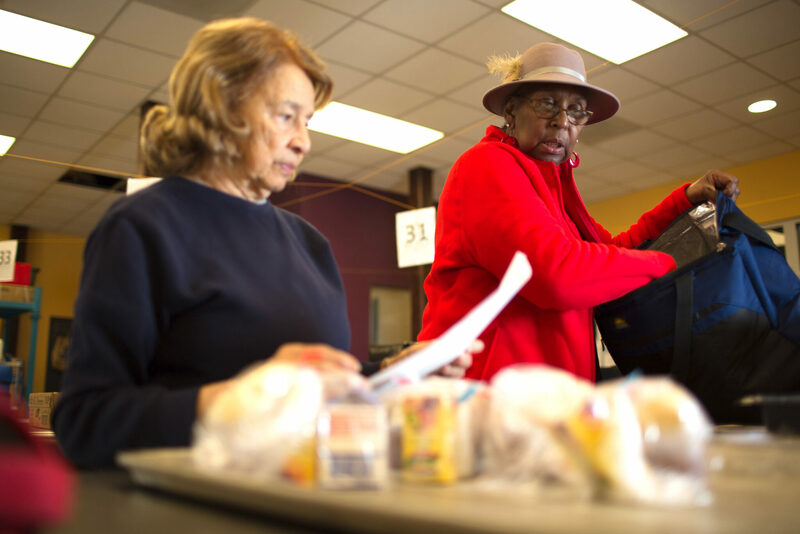 Volunteer drivers: help us deliver meals to homebound seniors, schools and other program sites throughout the Richmond metro area. We welcome drivers aged 16 and older, but those under the age of 21 must be accompanied by an adult. 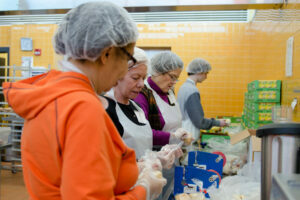 Packing assistants: assemble backpacks, snacks or create senior meal boxes for several of our programs. 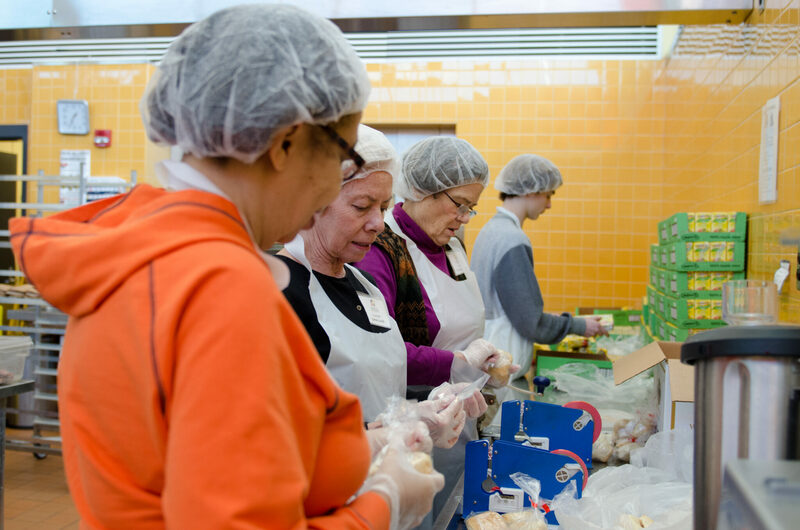 There are so many opportunities to give your time to your community at Feed More! While most of our opportunities are during the week, we do have special weekend and evening opportunities from time to time. If you’re interested in volunteering your time as an individual or part of a group, please complete the Volunteer Application Form and someone will be in touch soon. For additional information, contact volunteer@FeedMore.org. If you are inquiring about court mandated hours for non-violent infractions (such as traffic and curfew violations or trespassing), please complete a Volunteer Application Form. 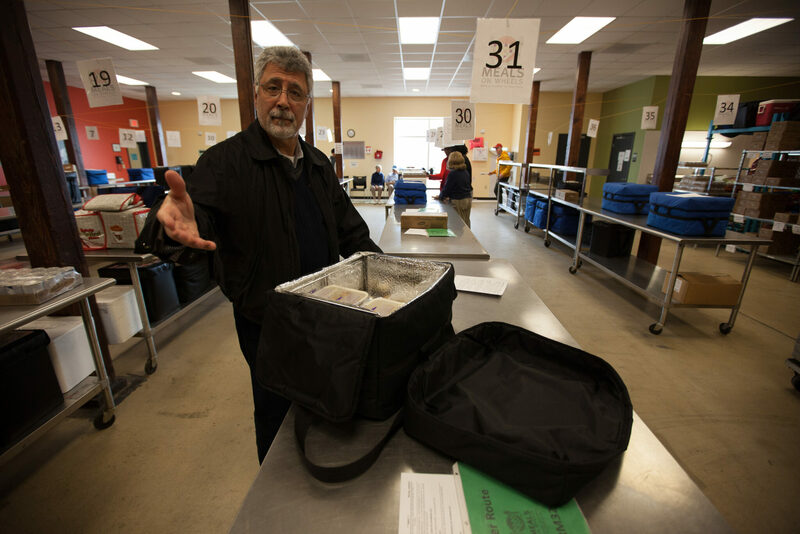 The small bags that accompany our Meals on Wheels meals are packed up by our Community Kitchen volunteers. We make a little bit of everything in our Community Kitchen. 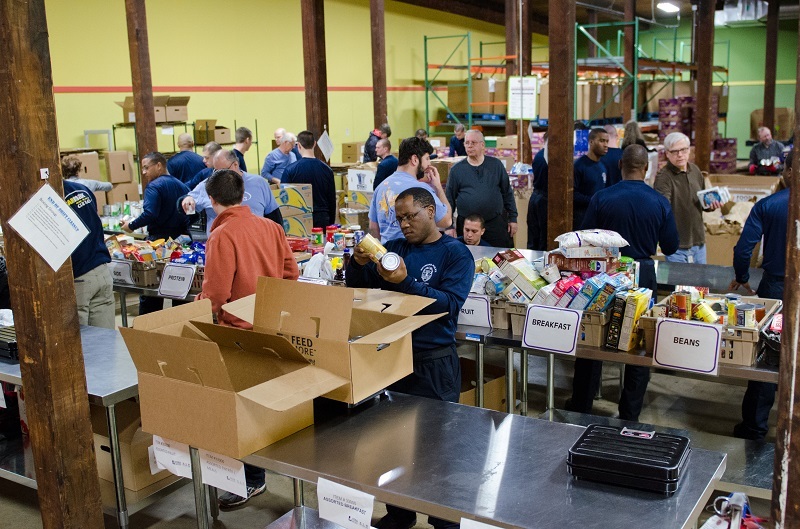 Team work is the name of the game when it comes to our nonperishable sorting. Every Meals on Wheels meal is made from scratch and tailored to our recipient’s dietary needs. 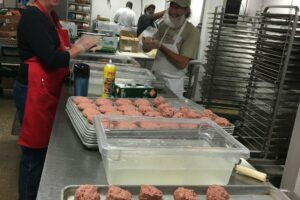 Meals on Wheels coolers are packed with love by our caring volunteers. 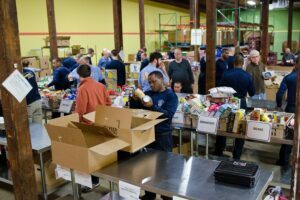 Volunteering at Feed More is rewarding and fun way to pass the time with a friend.